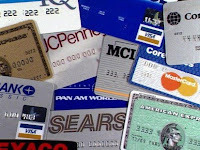 Do you have too much credit card debt but want to buy a home anyway? Two pointed questions . . .
First, wouldn't you think that something this idiotic would come from California or Washington, not Texas! Second, wasn't it getting folks who couldn't really afford to buy homes into home loans that got us into our current financial mess in the first place! 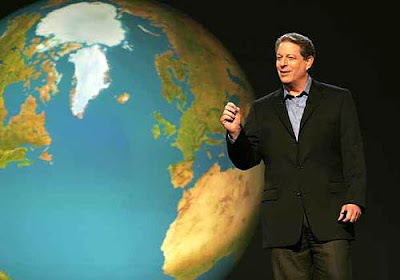 Al Gore pulls one misleading slide from climate presentation . . . When will he pull the rest? 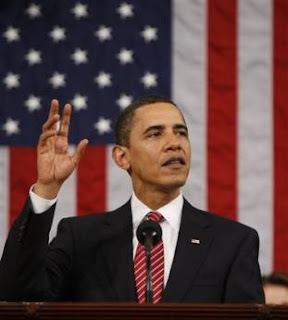 Will February 24, 2009, be Round 1 of the 2012 Presidential Debates? 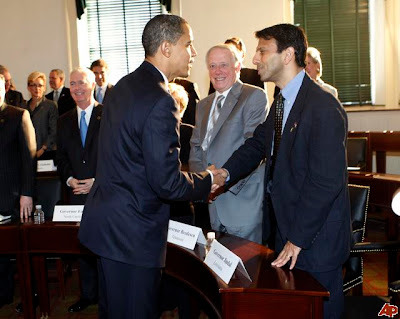 It's Obama v. Jindal, February 24, 2009. Gentlemen, shake hands and come out fighting! On November 7, 2008, Roy Blunt stepped down from his party leadership position in the House of Representatives prompting the question, "what's next?" A wise man (if I do say so myself) offered this answer, "that depends on Kit Bond. Senator Bond is up for reelection in 2010. If Bond wants to run again, Blunt won't oppose him. But if Bond is ready for retirement, Missouri couldn't find a better candidate to replace him than Blunt." Since November, Bond has, of course, announced that he will be retiring and not running for reelection. 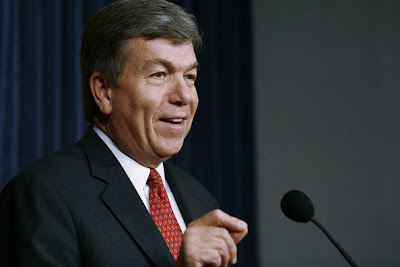 And today, Roy Blunt has announced his candidacy for the U.S. Senate. So what now? Is it too late? Absolutely not. It is just more important now than ever before. What's been passed so far won't stimulate the economy. And it needs stimulating. 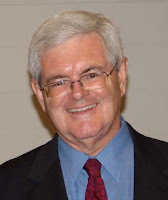 Conservatives, Republicans, and, indeed, all Americans need to get behind Newt Gingrich and American Solutions and push these ideas into reality. Chicago has been notorious for corruption since before Mrs. O'Leary's cow. In fact, it wouldn't surprise me if the cow started the fire to hide evidence of bribery in the dairy industry. The drama continues today with Senator Roland Burris, appointed to his current position by the now-impeached Governor Rod Blagojevich, failing to disclose contacts with Blagojevich's brother to a Illinois House panel. Turns out that the brother asked Burris to raise some money for Blago and Burris tried. (Link to story here.) Some would read that as trying to buy a Senate seat. The only thing worse than Chicago's National League baseball team is its politics. The place is a political cesspool. 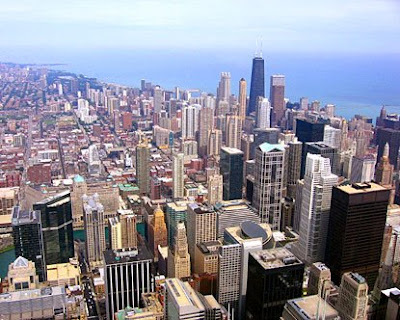 And, oh yeah, the people of the United States elected a Chicago politician to the presidency. That was smart. Ronald Reagan was an actor before he went into politics. Barack Obama was an actor when he ran for president . . . and he's still acting. 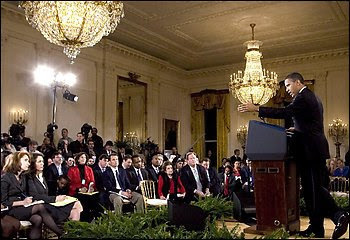 Earlier this week, Obama held the first news conference of his presidency and spoke, get this, with the aid of a teleprompter, visible in the photograph shown here. But that's old news. Haven't we known since the campaign that Obama loses much of his "appeal" off script? Preselecting the "journalists" allowed to question the president at a news conference is appalling. It almost certainly ensures that nothing too difficult will be asked. After all, the president's team knows who is friendly to their boss and who is not. And, as the Journal points out, this process "disciplines" reporters and keep them in line. And preselecting one's interrogators allows for one other possibility . . . scripted questions provided surreptitiously to the president in advance. I haven't seen a suggestion that that has happened, yet. But does anybody doubt that Obama's friends in the media would do it, and keep it quiet, if he asked? As you may know, I've been frustrated with the GOP for some time. 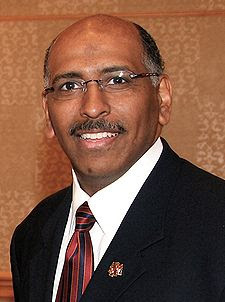 But Michael Steele was recently elected as Chairman of the Republican National Committee. 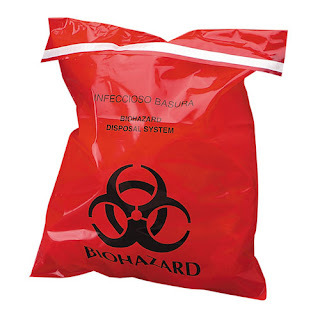 Steele's blog on the so-called stimulus bill gives me some hope for the party's future. It is linked here and copied below from USA Today's website. Republicans support fast-acting tax relief, not Democrats’ boondoggle. During his campaign, President Obama's advisers promised an economic stimulus that would be "timely, targeted and temporary." It sounded pretty good. But now congressional Democrats are pushing something very different. The legislation written by Senate Majority Leader Harry Reid and House Speaker Nancy Pelosi is shortsighted, with potentially harmful long-term ramifications. What was supposed to be an immediate boost to our economy has morphed into yet another overreaching spending boondoggle. There's no place for things like $45 million for ATV trails and government office renovations. Yet, that's precisely the sort of unnecessary spending that Reid and Pelosi are pushing. Perhaps that's why polls show most Americans want major changes to the stimulus bill moving through Congress. The Republican Party is listening, and ready to work with President Obama to craft legislation that would immediately create jobs. We should first agree that with so many taxpayers struggling to pay their own bills, every dollar must help job creation. Republicans offered ideas to focus the stimulus directly on creating jobs and helping homeowners, but the Democrat leaders in Congress preferred the top-down big government approach. In his news conference this week, the president was selling fast and hard. He clearly senses that the American people have had enough of these trillion-dollar spending sprees. As the loyal opposition, Republicans have a responsibility to call him out when he errs, and work with him when he is right. In that spirit, let's recognize the Democrats' spending bill is a mistake. If you like government dependence, you will love the Reid-Pelosi plan that they are jamming through Congress. Republicans have a better solution: an economic recovery plan that lets families and small businesses keep more of what they earn. By our analysis, the Republican plan would create 6.2 million jobs, twice the number created under the Democrats' plan, at half the cost. We favor fast-acting tax relief that will boost our economy and create new jobs not slow-moving, wasteful government spending. It's an honest and fundamental disagreement, and we stand ready to work with the president on a plan that will directly help taxpayers to make ends meet and get our economy back on track. Well said Chairman Steele. I couldn't have said it better myself. If this "boondoggle" passes (and that seems all but certain) every politician who voted for it should be remembered on their next election day and booted out of office. I'm sad. I'm sick. I'm disgusted. I'm angry. I'm angry at a society that draws artificial lines to determine when it is legally acceptable to kill another human being and when it is not. Dr. (or should I say former doctor) Renelique was late. And as a result the baby came out of her mother's womb and, then, was killed. In America, that's a crime (at least for now) and Renelique lost his license. Ironically, he lost his license for not killing anyone that day in 2006. But if Renelique had showed up on time, just hours before, he could have (and would have) killed baby Shanice without any sanction and, according to the current law of the land, no crime would have been committed by anyone. How can the "Pro-Choice" crowd not see something wrong with this picture? 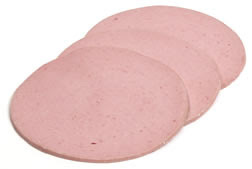 Conservatives and Republicans have been fighting against the massive pork included in the so-called economic stimulus package proposed by President Barack Obama. While some minor battles have been won, the juggernaut is still likely to pass. After all, the president's party has large majorities in both houses of Congress. But will the package have a desirable effect on the American economy? The nonpartisan Congressional Budget Office says . . . "No." According to this story from the Washington Times, the CBO says that the proposals "would help in the short term but result in so much government debt that within a few years they would crowd out private investment, actually leading to a lower Gross Domestic Product over the next 10 years than if the government had done nothing." This is not the RNC talking, its the CBO! When even the CBO says this is a bad idea, why is it going to be done? Because nobody in Washington (at least on the Democrats' side of the aisle - and too few on the Republican's side) seem to give a [darn] about anything past their next election. And the press and public seem too easily snowed. We're in a crisis here due to lack of vision and leadership and courage. Is there any on the horizon? And if there was, would the American public pay attention long enough to understand it? Carnahan is popular (even though I don't understand why) and will be a formidable candidate. She's going to be even more formidable because the Democrats aren't stupid - at least as far as getting themselves elected goes. 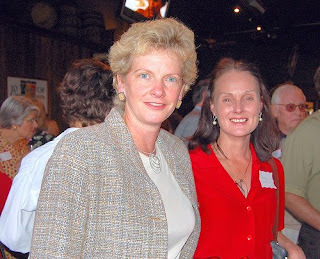 They are going to line up behind Carnahan and run against the GOP for the next two years. Missouri's Republicans had better do the same thing or the 2010 senate race will look a lot like the 2008 race for governor. I know that I'm repeating myself but for the good of the country, the state, and the party, Roy Blunt, Peter Kinder, Sarah Steelman, Jim Talent, Jo Ann Emerson, and anybody else who thinks that they have a legitimate shot at winning the election had better learn the lessons of 2008 or they'll all be unemployed come January 2011. The time is now to sit in a room and come up with a plan of attack. The Missouri Republican party must rally around one conservative candidate and come out swinging - now - against Carnahan and the Democrats. Or continue losing. Seems a simple choice to me. But something is wrong with this picture. 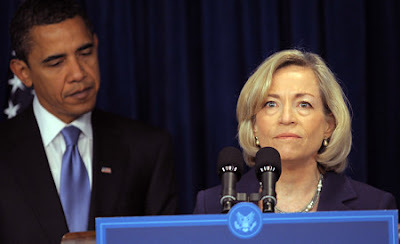 All three of these Obama nominees had problems paying their taxes (not problems like "they couldn't" but problems like "they didn't") but only one of them - Killefer - is being kept out of the new administration. She's "withdrawn her candidacy" for the position of "chief performance officer" (whatever that is) but Geithner has already been confirmed as Treasury secretary and Daschle seems on the way to confirmation as secretary of Health and Human Services. Why the disparate treatment? Killefer must be the worst offender, right? Nope. Daschle is. He failed to pay $128,203 that he owed the IRS. And Geithner is next. He failed to pay $34,000 in income taxes. So what did Killefer do? She failed to pay a whopping $946.69 in unemployment compensation taxes on her household help. $946.69! And she paid that off in 2005. Now, don't get me wrong. What Killefer did was wrong. But if she's out for less than $1,000, why aren't Geithner and Daschle out too? Because they're big fish, that's why. And Killefer isn't. She's just the scapegoat who is being shown the door in a calculated effort to take the pressure off the other miscreants in the cabinet. Let's hope the effort fails and Daschle boards the next plane back to South Dakota. UPDATE: DASCHLE'S BOUGHT HIS TICKET! As I was typing, this story hit. Who says SLC has no impact? Hell did not freeze over . . .
but reports are that it got a little frosty down there. 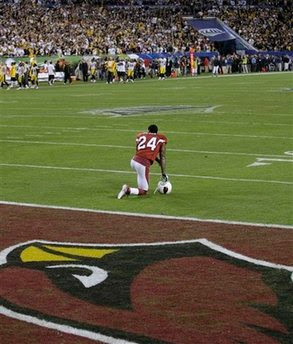 Congratulations to the World Champion Pittsburgh Steelers.